The Premier Final is interestingly poised going into tomorrow's third and final day. Carlton needs a further 271 runs with eight wickets in hand, Geelong needs those eight wickets. Alternatively, if Carlton bats through tomorrow and earns a draw, this will be enough to win the premiership as the Blues finished on top. 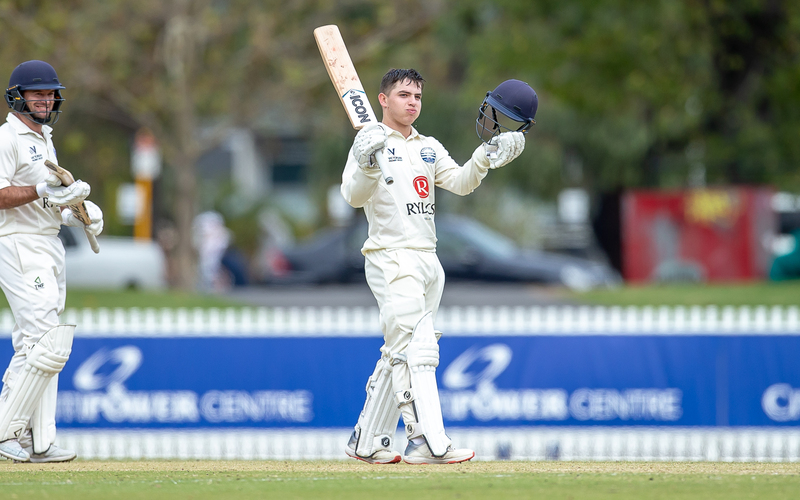 Geelong resumed on 3/241 this morning and, from the start, batted with positive intent, adding 138 for the loss of three wickets in the first session. Eamonn Vines took his total to 141 before a mix-up with Thomas Jackson saw Vines run out. It was Vines' 12th and highest Premier century. Thomas Jackson also batted positively today, scoring his third Premier century in his first season. He faced 178 balls and hit 10 fours and 2 sixes. The Geelong declaration came when Jackson was dismissed for 122 at 9/409. The Cats today added 6/168 off 35.2 overs. 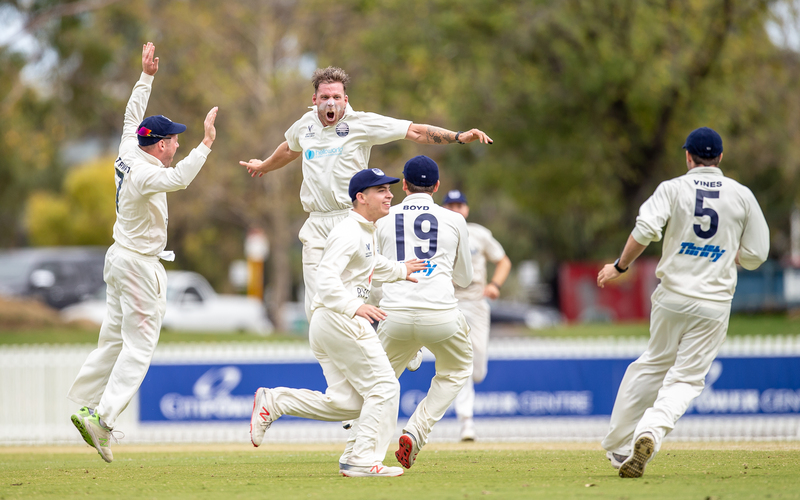 Carlton's bowlers were headed by right-arm quick Aaron Smillie, whose 3/61 came off 25 overs with six maidens. 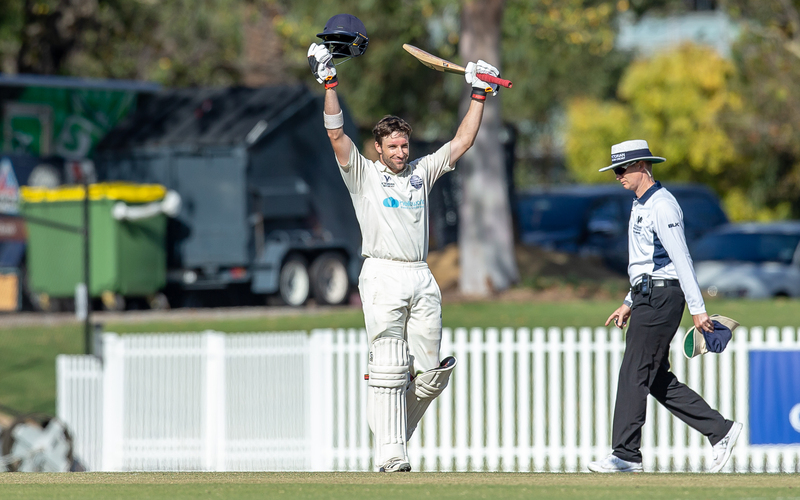 Carlton began shakily, losing Tom Smyth at 1/24 and Brayden Stepien at 2/37, but Harrison Smyth (58*) and Nick Ross (39*) steadied the ship, adding an unbroken century stand to see the Blues to 2/139 at the close. It's set up for a fascinating third day's play tomorrow, commencing at 9.30am, Standard Time.